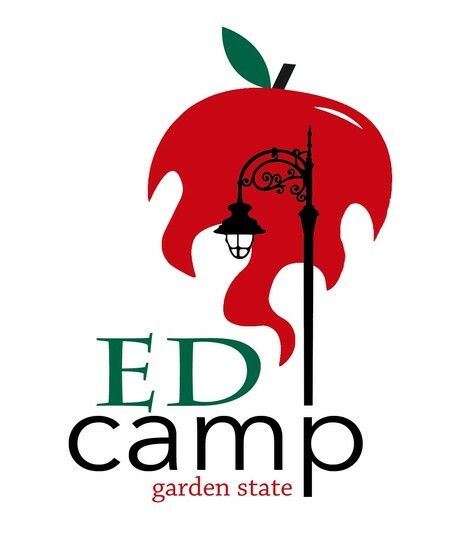 Last week EdCamp Garden State was officially announced and there is a lot of buzz in the Twitter-sphere about it! It promises to be a very exciting and fun day of learning and making new connections for all attendees. Save the date! Saturday April 30th, 2016. If you have ever wished you had a digital copy of something you had on paper - check out the video below. 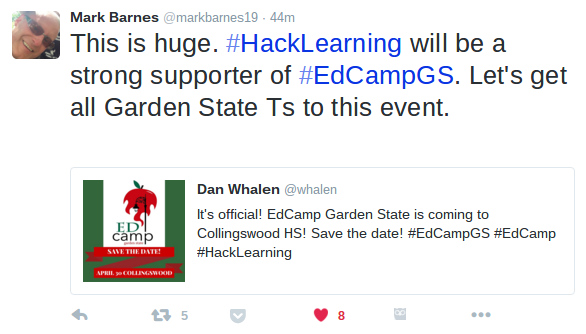 Mark Barnes @markbarnes19 - Mark is an accomplished author and speaker and has a small company called Hack Learning that publishes books around new and innovative ways to think about our schools. Mark is a strong proponent of ditching traditional grades in favor of strong feedback. You may not agree with all of his ideas but he will make you think. His blog was one of the first that I regularly read. 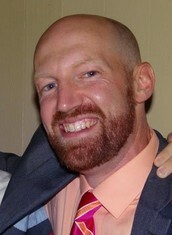 He has reached out to help promote and sponsor our EdCamp and will be donating a bunch of books to give away that day. Give him a follow and see what he has to say. Lisa Winkler mentioned this to me I dont know how long ago - I had the app sitting on my ipad gathering dust. I started playing with it last week and it is really incredible. Very intuitive and powerful. 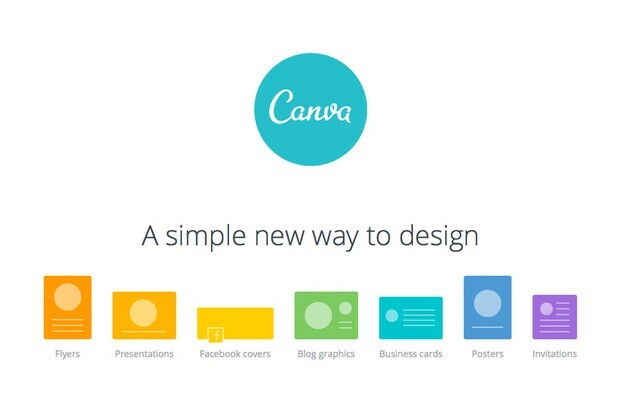 Basically you can design anything you would like - kids could make presenatations, infographics or Social media materials. It is definitely ideal on the ipad but it does work on Chromebooks and you can sign in with a Google account. Remember when you started listening to music on CD instead of tapes? Wasn't that awesome? It was way easier and a lot more enjoyable. Slack makes emails look like audio cassettes. Join us!! https://colls.slack.com/signup.